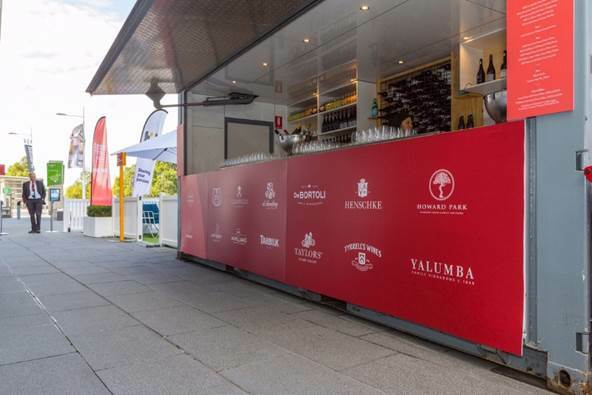 Whilst Melbourne is basking in the success of the 25th Anniversary Melbourne Food & Wine Festival (MFWF) that concluded last weekend, Australia’s First Families of Wine (AFFW) is celebrating its involvement in the festival across several world class events. This is the first sponsorship of this kind undertaken by the group, heralding a new phase for Australia’s leading wine group. Starting with the marquee Masterclass weekend on 1st and 2nd April, Australia’s First Families of Wine was the exclusive wine sponsor, working with some of the World’s 50 Best Chefs. Brought to Melbourne for the first time as part of the World’s 50 Best restaurant awards, AFFW paired their premium wines to some of the most innovative dishes on the planet. 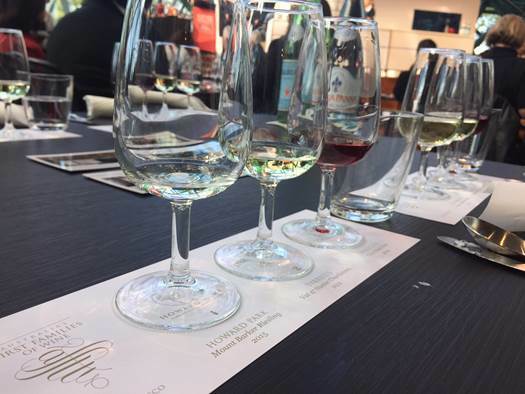 Guests to Masterclass sessions could experience some of the finest wines that AFFW produces with 24 wines tasted from the families as part of the ‘Taste and Learn’ experience each matched to a dish designed by the world’s most lauded chefs. With chefs from the US, Peru, Mexico, Australia, UK and beyond, this was truly a world class experience. AFFW wines were also available for tasting between sessions and many of the families were on hand over the Masterclass weekend, mingling with guests and answering questions at the ‘Meet the Maker’ Q&A sessions held after every session, bringing the real stories behind their families and wines to a highly-engaged crowd. Continuing the ‘world’s best’ theme, AFFW hosted an exclusive Masterclass, dubbed UNLOCKED¸ for the World’s 50 Top sommeliers, brought to Australia by Wine Australia as part of the World’s 50 Best celebrations. 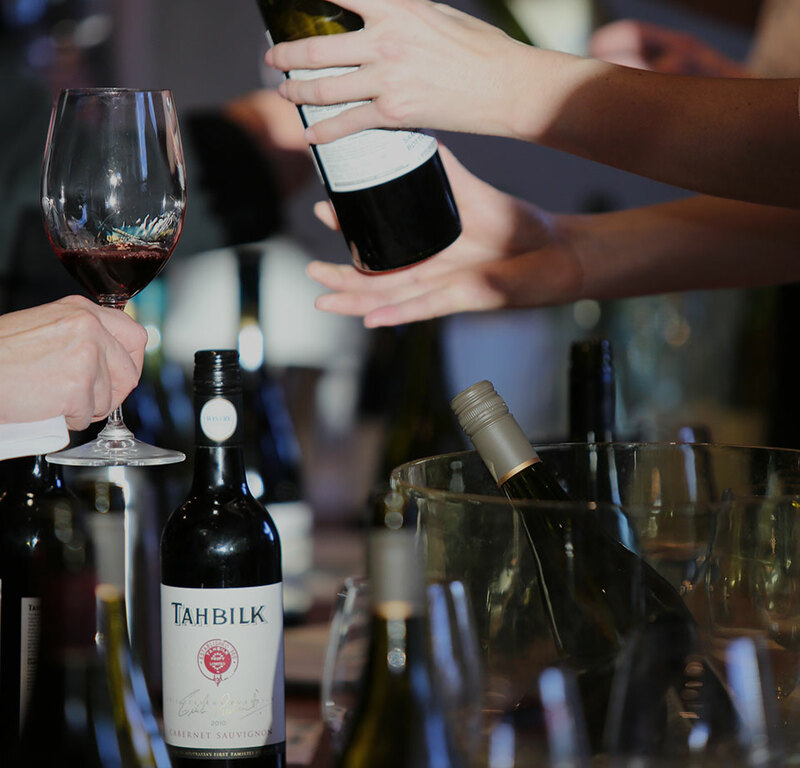 Held at Melbourne’s Park Hyatt, the families ‘unlocked’ the family cellars to present a tasting like no other, highlighting the best wines they produce, including many back vintages of some of this country’s most esteemed wines. (See backgrounder for list of wines served). 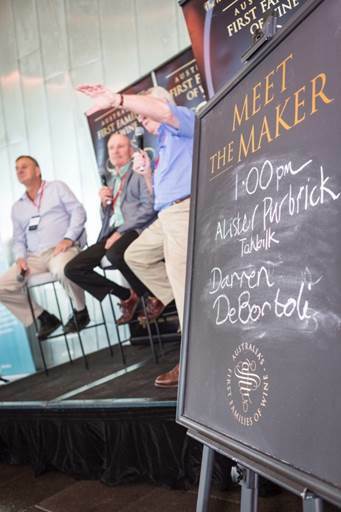 AFFW Chairman, Bruce Tyrrell, heralded the sponsorship with the MFWF a great success, with the chance to engage with a fascinated crowd to build the understanding of quality Australian wine that sits behind the AFFW marque on every family member’s bottles.